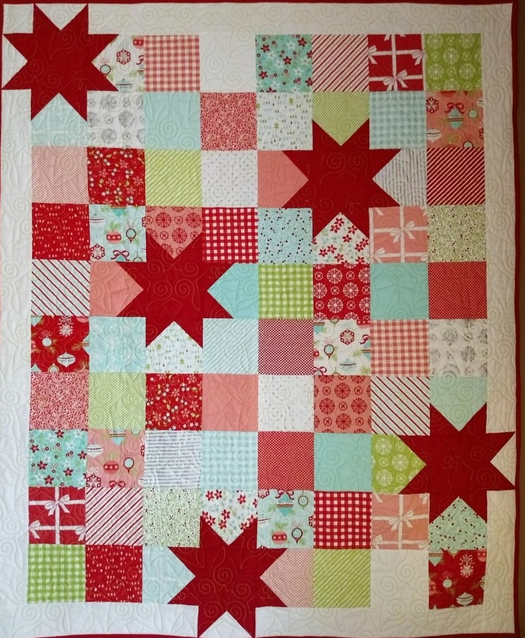 Join us to make this Fast and fabulous Pattern by Pat Sloan. You will need 2 charm packs or 75 five inch squares, 1/2 yard for stars, and 1 1/4 yards of border fabric, for the top. You will also need a sewing machine in good working order, rotary cutter and small mat, ruler that is at least 5" wide, tread, pins etc.